Ah, Jolly Old St. Nicholas! Lend your ear this way! …I still believe in you! Well, that’s awkward because for someone in his mid-20’s to still believe in Santa Claus is an absurd idea, especially after learning the truth of Santa Claus’ reality when I was younger. But see, being in my mid-20’s, I’ve had opportunities to grow in knowledge, in faith, and in waist sizes (but that’s not relevant). 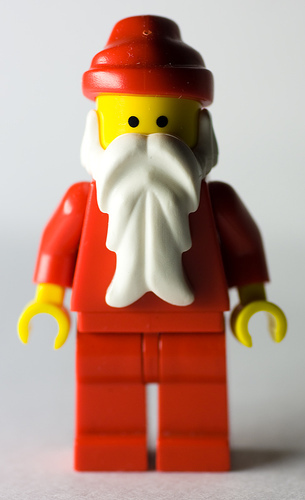 With that said, perhaps Santa Claus is more reality than myth or legend. Maybe years of commercialization has turned St. Nicholas into some jolly good old fellow whose generosity and reindeer has made him the hot topic of post-Thanksgiving conversations with parents and mall outings. But see…we associate Santa Claus simply as that guy who shows up to your chimney one night a year and gives you what you deserve. We never really focus on his history and where he comes from (I’m not talking about the North Pole). 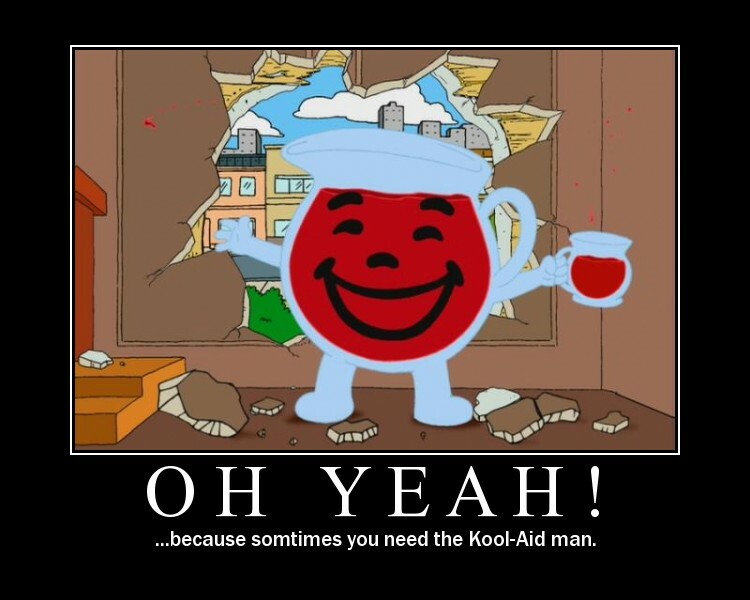 Are we okay with letting some big red dude that we don’t really know into our homes one night a year?! So as long as we’re accepting of Santa Claus and assuming mommy doesn’t kiss him too much or his reindeer doesn’t run over grandma…perhaps we should take a little bit of time to know who Santa Claus is. Now, it’s fair to say that the Santa Claus we all know and love today is probably based on several characters in history. But most (?) seem to point towards the original St. Nicholas. Just who was the original St. Nicholas? Was he fat? Jolly? Resident of the North Pole? Was there a Mrs. St. Nicholas? Did he have reindeer and/or elves? Did he have his own sled? Did he always say “ho” three times in a row? St. Nicholas was…actually…a Catholic bishop of Myra, an area now known as part of Turkey, back in the third century. Not much is certain historically about him because he lived a long time ago, but he seems to have consistent legends about him. As popular as Jolly Old St. Nicholas is today, St. Nicholas of Myra was pretty popular to early Christians and the Church back in the day too, though for non-commercial reasons, haha. For a more complete biography,you can go here. But again…we don’t know much about him historically apart from popular legends and miracles attributed to him through the ages. But he certainly was a Catholic bishop back in the day. Throughout Church history, the bishops hold councils to discuss matters of the faith. One such council, the Council of Nicea, was held to discuss the issue of a rising heresy at the time known as Arianism, which basically denied the divinity of Jesus Christ. There’s a popular legend (again, not historically certain) of St. Nicholas freakin’ punchin’ the daylights out of Arius, the originator of Arianism at the Council of Nicea. I mean, talk about defending the faith and knocking some sense into people! Ok. Pause. Think about this. Santa Claus making a total baddonkey move and putting Christ back in Christmas with a fist punch. Makes you want to rethink about the dude in the big red suit at the mall, eh? You don’t see Mr. I-Look-Like-Santa-Claus-But-I’m-Only-His-Helper defending the identity of Christ and punching heretics (oh that would be awkward to have to explain to children waiting in line…”Mommy, why did Santa punch that heathen?”). 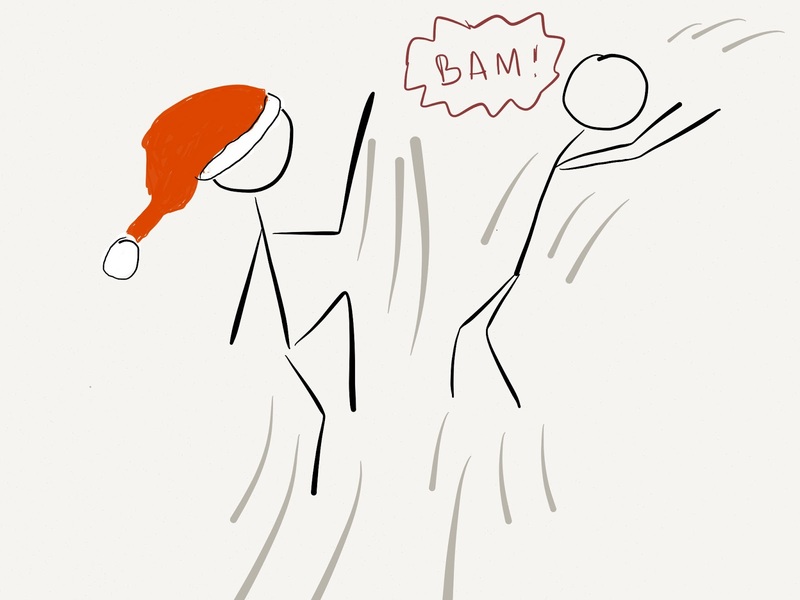 Anyway, I first read about that punch here: Bad Catholic Blog – On the St. Nick Punch. And I was immediately wow’d and desired to blog about it too, but it was nearly Valentine’s Day earlier this year when I first read Marc’s blog post, and I felt like that would have been too late (early?). Regardless…yes…St. Nick’s one punch was sole enough of a reason for me to believe in Santa Claus once again. But not so much that “Santa Claus” did that…but because…St. Nicholas, taking the average of his historical legends and life, is someone of heroic and holy character, which, in my opinion, is what constitutes a great saint. We admire his generosity and compassion for the less fortunate which seems to be things that are hard to grasp today. And yes, though the Santa Claus we know today is a caricature or commercialized representation of the real St. Nicholas, I’m Catholic–and as Catholics we appreciate how visible signs point towards greater realities. Then yes, Santa Claus is a visible sign that points toward the reality of a man who once walked this earth (and you can find his relics primarily in Bari, Italy and scattered throughout the world) and whose life of legendary generosity is an important and relevant model for us all. Fun fact! St. Nicholas’ feast day is December 6 or otherwise known as St. Nicholas Day in other parts of the world. A tradition associated with St. Nicholas Day is for you to leave your shoes out on that day and hopefully you’ll find it filled with goodies and/or monies (similar to the usage of stockings for Christmas). So, I suppose all this talk about the real Santa Claus makes it awkward to talk to kids about it. And I read a good blog post on how it can be handled. You can read that here at the Aggie Catholics blog. I’m lovin’ the fact that I’m Catholic because I often find that some of the things we enjoy in society today has some sort of Catholic origin to it. And man, saints’ lives can be so cool to dig deeper into as we see with St. Nicholas. 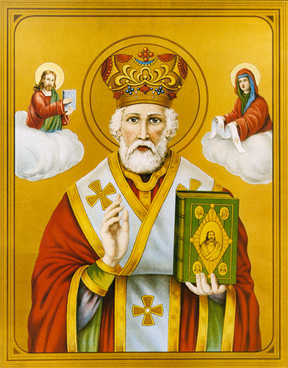 St. Nicholas, pray for us! May you remind us of what it means to be jolly and generous! Previous Previous post: Apostolic Secession?